This year's annual Social Justice Statement from the Australian Catholic bishops highlights the contribution older people make to the life of the community. Launching the document, titled A Place at the Table: Social Justice in an Ageing Society, earlier this month, Bishop Antoine-Charbel Tarabay said we should celebrate the great 'success story' of our ageing population and, as a fair and compassionate nation, foster solidarity among all generations. Improvements in technology, health and community services have increased the longevity of the Australian population. Around 75 per cent of men and 85 per cent of women are reaching 65 in good health and have about 20 years of life ahead of them. More and more, the years following retirement are characterised by continued participation in the labour market, care of family members, community service and charitable giving. Some older Australians are primary carers of their spouse, and many are unpaid carers for family and friends, including providing childcare to grandchildren. Many volunteer a lifetime's worth of skill, experience and wisdom to community organisations, and support people who would otherwise be isolated. Some younger people find it hard to prioritise care for older relatives and acquaintances. Some elderly experience loneliness and discrimination, and there is the grim reality of elder abuse, often perpetrated by family members. The bishops invite us to a culture of compassionate care that values and protects aged people and challenges the 'throw-away' culture that casts older people as burdensome or dispensable. We live in an inter-dependent world where those in need share the benefits of the market and are protected from poverty. Australia is now planning for an economy that has more elderly people. Death rates are declining and life expectancy is increasing. Children born today will live into their 90s. Our population should reach 36 to 40 million by 2050; the number of Australians aged 65 and over will go from 3.5 million to 9 million. "Divisive terms such as 'intergenerational theft' or comparisons between 'productive workers' and 'burdensome retirees' are invidious and unhelpful." The population demographic has also changed significantly. In 1970 we had 29 per cent of the population under 15 and 8 per cent over 65. In 2050 we will have about 17 per cent under 15 and 23 per cent over 65. In an earlier era, government budgets planned more for younger people through education and programs for families oriented to children and adolescents. This developed a good foundation for the future. In the years ahead our economy will need to be more oriented to infrastructure, health and service delivery for retirees, and aged care. Labour participation rates, productivity growth and disposable income will decrease and investment requirements will grow. There are costs and benefits of an ageing population that require creative organisation to ensure these are shared equitably and atomised over time. 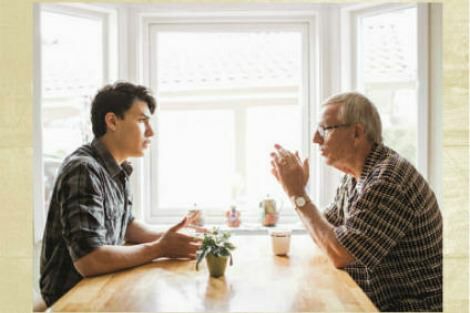 Divisive terms such as 'intergenerational theft' or comparisons between 'productive workers' and 'burdensome retirees' are invidious and unhelpful. Government funding for age-related expenditure will increase substantially. More will be spent on health, aged care and the age pension to ensure those with limited means receive dignified and adequately funded care. Future retirement income systems will have to be adjusted in line with longer life expectancy. Growth in housing equity may improve options for aged care services for some. We need to plan to help the next generation care for the generation above them. Japan is an ageing nation with 12 per cent under 15 and 27 per cent over 65. It has something to teach us, as do many countries in Europe. Their issues are so different to countries such as Timor-Leste, whose population is young and growing, with 43 per cent per cent under 15 and only 4 per cent over 65. While Australia addresses the needs of an aging population, Timor-Leste must address a smaller work force and high youth unemployment. Some skills, such as teamwork, entrepreneurship, innovation, compassion, social skills, computing and problem solving will need to be learnt by the youth of all countries. The elderly have an important role in helping the young learn for all our sakes. Fr Peter Hosking SJ has been Rector of St Aloysius' College, Milsons Point, NSW, since 2011. This is an edited version of an article that appears in last week's edition of the college newsletter, The Gonzagan. Recent articles by Peter Hosking. Certainly more will be spent on health, aged care and pensions due to an ageing population. However pointing to Japan and Europe as models to follow hardly instils confidence. By 2050 Japan’s workforce will fall by a third, and Europe’s by a quarter. Jonathan Last wrote: “On present trends, and without a big influx of immigration, countries like Italy will shrink by 86 per cent, Spain by 85 per cent, Germany by 83 per cent, and Greece by 74 per cent. If Japan’s fertility stays where it is, the country will contract by more than half—to 56.8 million—by the end of the century.” No pension and health care system can support such an inverted population pyramid. By contrast, Australia has a fertility rate of 1.9 but increases its population by immigration. I agree that we need to plan, but right now Australia pays $1 billion per month interest on debt, and no one has the moral courage to come up with a solution to paying off debt if it means less welfare. It’s neither moral nor just simply to wish this away, and to label statements such as ‘intergenerational theft’ as ‘unhelpful’ doesn’t solve anything. "We need to plan to help the next generation care for the generation above them." The next generation might not need planners and deliverers of care for the aged as much as more of the next generation itself to pay the taxes for them. But, are economies that are efficient enough to provide the widest variety of goods and services with the least number of workers also effective enough to provide the most number of jobs with the necessary levels of working conditions to the numbers necessary to support the generation above them? Good question Roy, and I think the answer is 'no'. Which is why the emphasis on simply growing the economy is dangerous. The great Arnold Toynbee recognised this over 100 years ago when he said 'The effects of the Industrial Revolution prove that free competition may produce wealth without producing wellbeing'. But we never learn. Our wonderful 'jobs and growth' government have decided that it's important to develop the skills need to build half a dozen submarines, but are quite happy to jettison all the skills we developed in designing and building trucks and cars. This is the most exciting time too be an Australian? Tell that to the auto-workers in company towns.